Bag of size 14 screw hooks. Fits the combo tool and the smallest socket in the quick kit. 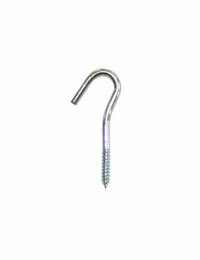 The Number 14 is the most commonly used screw hook for hanging holiday lights. Regular bag holds 10 screw hooks. Also available, bag of 50.